New Month - new reveals! Let′s jump right in to first three releases of Second Wave! "Furthest from gangs and horors fo lower elvels are most luxurious homes of the wealthiest citizens..."
Scheduled to arrive next week, the Mansions has been on our tongues for months, starting in October, through New Year′s Eve, up till now! Only 7 days stand between you and this spooky building. There is more - 2 to be exact - large scale buildings, which were designed to shorten the assembly time. 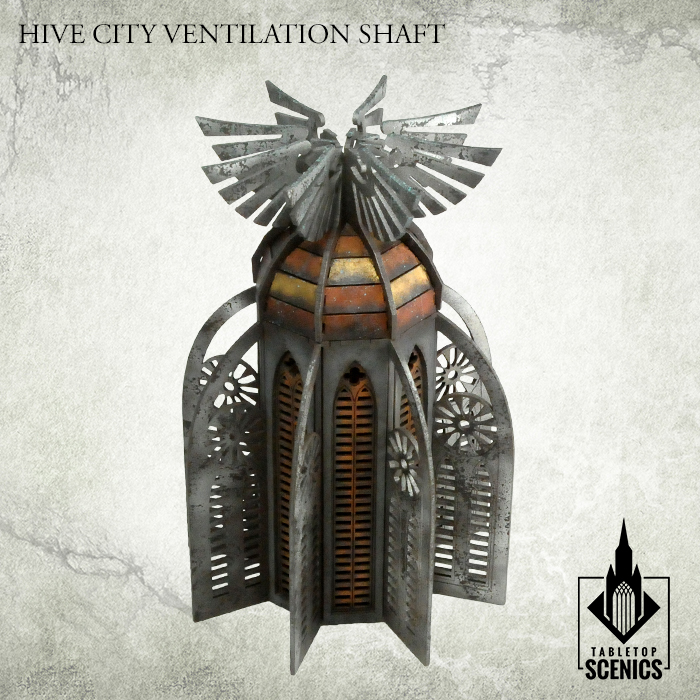 "...throughout the city the excess heat and smoke is ventilated by specialistic vent shafts, preventing lower living masses from dying of intoxication..."
Present in the first wave, Ventilation Shaft is a part of Hive City Confessorum - now it will be available separately. We know that not all players use it in 28mm scale wargames - some of it is used in 8mm scale battle of Titans. Well, now it will be even easier to acquire! "Along super-highways are rows of brightly-shining lamps, designed to fit one standard across the Imperium..."
Present in most of the footage in the trailer, Street Lights are something we wanted to include since the very beginning. Now, they will be available in one pack of six or even more - in bundles! There′s of course much more to show, but it will be revealed in time. Hive City Transit Stations, Vox Call Booths and others are right behind the corner!